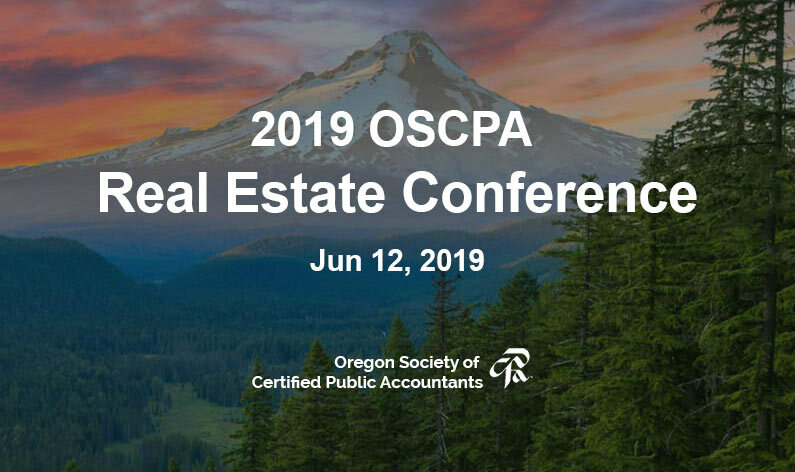 Attend the 2019 Oregon Society of Certified Public Accountants (OSCPA) 2019 Real Estate Conference and learn about the recent developments and important issues in real estate with a focus on taxation. The conference is designed for CPAs with clients that own property, property owners, or anyone thinking about buying, selling, or owning real estate for investment; those who wish to know what to expect regarding tax laws and economic trends. With today’s volatile stock market more and more investors are interested in investment diversification beyond Wall Street’s offerings. A truly self-directed retirement account empowers investors to safely make investments in anything the law allows. Participants will learn how to establish a self-directed account, how to make investment decisions, how to manage, maintain, and relinquish investments, how to take distributions and end gains, and what CPAs should know through a case study.